Finally a city we like! 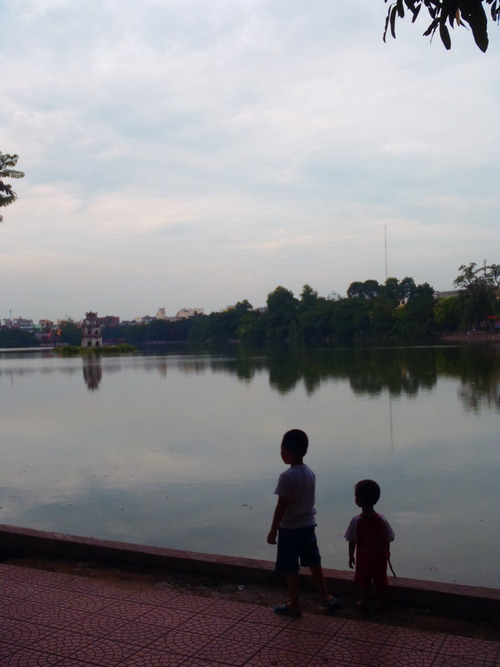 Hanoi feels a little bit like Shanghai, the European influence is much more obvious with a huge lake in the centre of the Old Town. We checked into a clean little hotel in the backpackers alley, which had real character and reminded me a bit of Diagon Alley in Harry Potter. 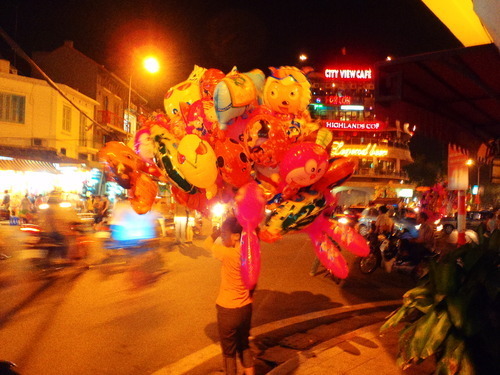 We visited the night market and wandered the streets, trying not to get killed. There are THOUSANDS of scooters/mopeds/motorbikes here and the guide book strichtly stated that you have to cross the street slowly so that the drivers can gauge your speed and try to dodge you. They don’t stop at crossings and the stream of traffic is constant. Basic Darwinism rules the roads, its survival of the fittest! Halong Bay was our next stop for a day trip. The bay is a world heritage site and is currently being considered as a Wonder of the World. We went out on a traditional wooden boat and puttered out to one of the bays. It felt like we were in a movie set! (Partially true, apparently some of the Pirates of the Caribbean movies were filmed here!) The water was emerald green and glassy and the mountains rose straight out of the water! Hundreds of them, clustered together to form small bays. Lunch on the boat consisted of rice, a whole fish(boiled), some tofu, omelette and a seafood mix. It was quite yummy if not a bit odd but desert is always a nice piece of fruit :) The rest of the afternoon was spent chilling on the boat in sun, visiting some cool caves and sipping on a bag of sugar cane juice! This is my favourite thing about Vietnam so far, freshly squeezed cane juice is sold on every corner, either in a little plastic bag with a straw or in a cup mixed with some fresh lime. So refreshing! Why don’t we have something like this in Barbados?